The journey of facial skincare has been an arduous one— I was plagued by a minefield of pimples, acne scars, oily skin, blackheads and whiteheads since my years as an adolescent. It was a losing battle which I gave up on, because I firmly believed that it was due to the hereditary genetics that have been passed down from my parents. 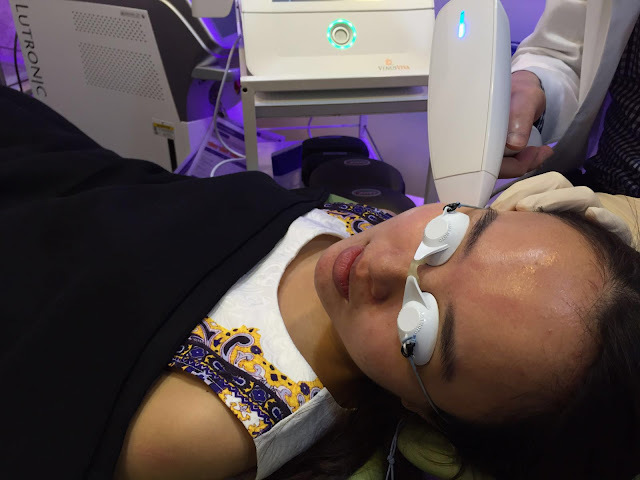 My battered soul was quite skeptical and doubtful when I heard of the Venus Viva Treatment which I blogged about earlier. Here, you'll see the process of how my skin has transformed. Please note that disturbing images lie ahead, so you might want to proceed with caution! 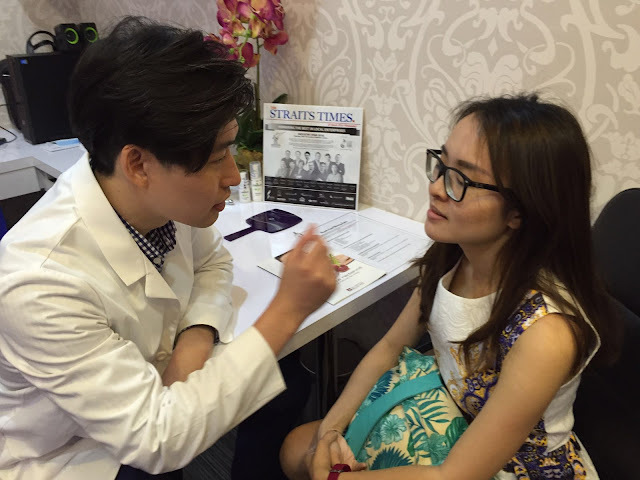 I was introduced to Dr Ho Rui Ming through Willabelle from Venus Viva. He had a really friendly demeanour which made me feel completely at ease. He had a good look at the different blemishes before determining the type of frequency to use for the machine. 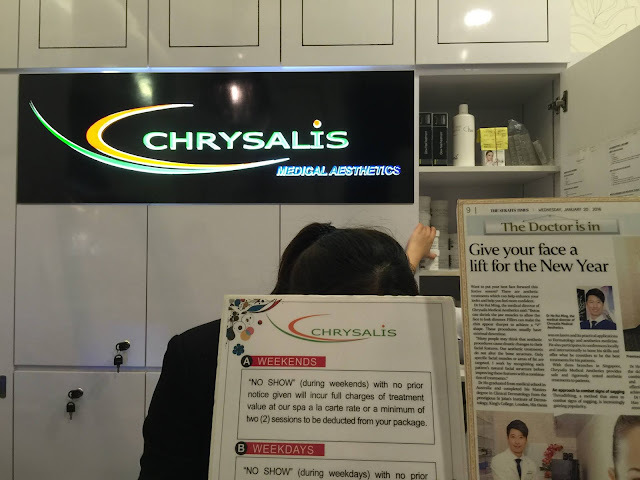 I was later brought to a separate room by Emy, one of the staff from Chrysalis Medical Aesthetics, for a good facial cleanse. She later applied numbing cream to my face which was left for a few minutes. The numbing cream really helped to reduce the pain— in fact, I could feel absolutely no pain during the Venus Viva treatment. Mind you, the frequency set was quite high because I have enlarged pores, deep acne scars and chicken pox, as well as existing pimples. 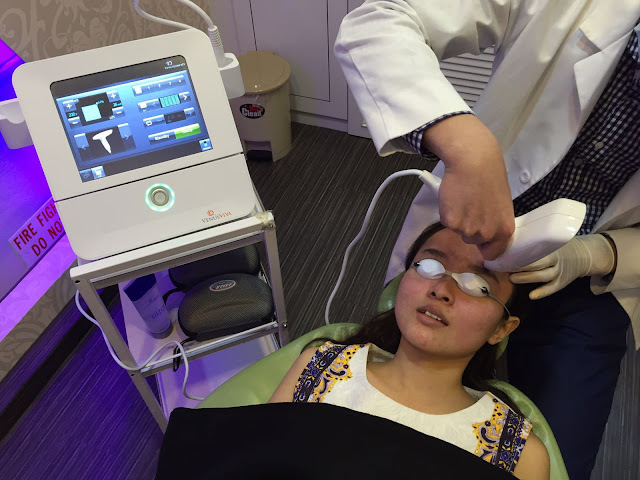 Dr Ho zapped the pimples away (he literally used the machine to zap the pimples itself). It felt like ants crawling over my face with each zap— and I had to resist laughing because it was quite ticklish. 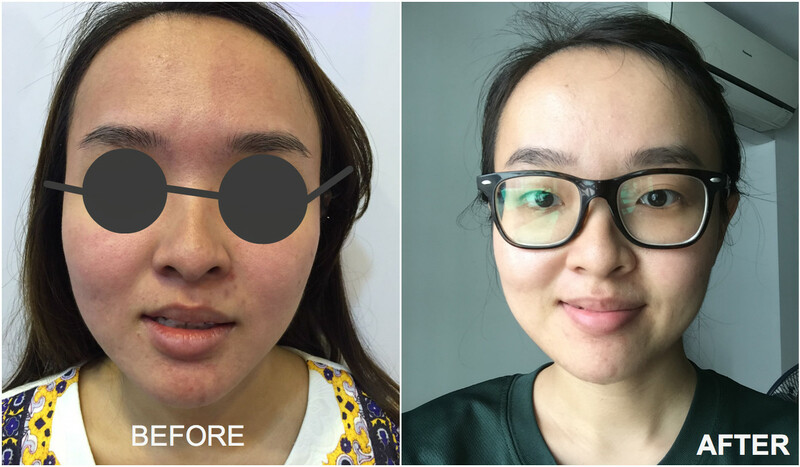 Let the photos speak for itself, the results are quite dramatic after only one session! 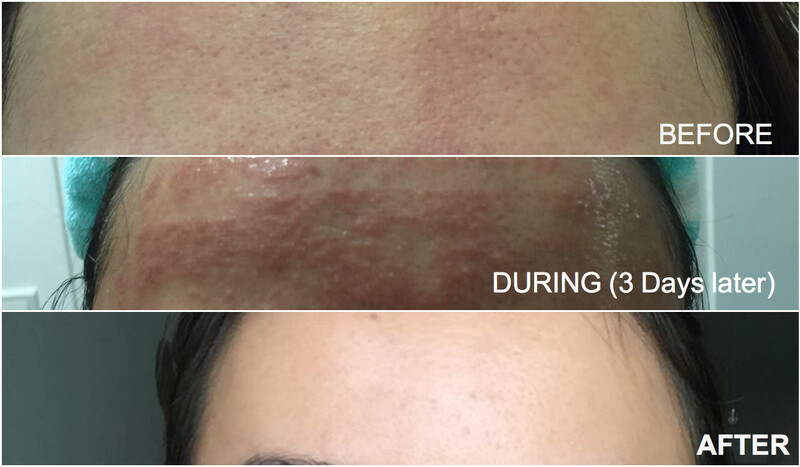 Unfortunately, I had developed some rash three days after the treatment. This only occurs to 2% of the patients and it is due to some sebum oil glands reaction. For many others, Venus Viva is supposed to be little or no down-time. I went back to the clinic and got some topical antibiotics with anti-inflammatory properties, as well as steroids to dampen the inflammation. I'm so, so glad that it worked! 1. 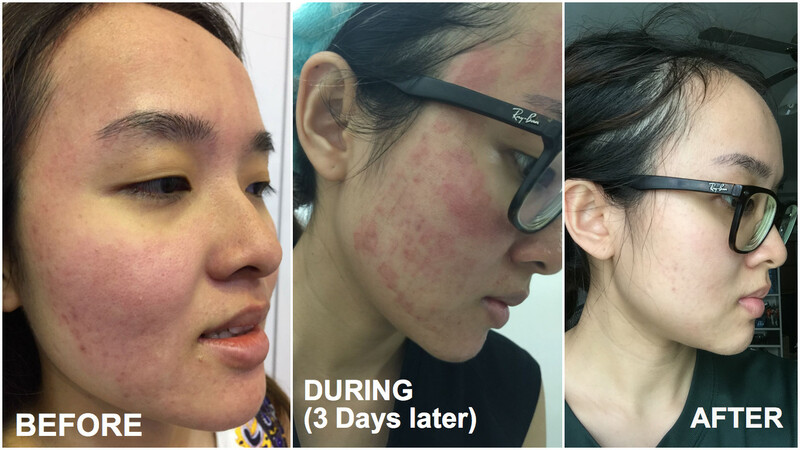 Your skin will be red after the treatment. It's best to go home after that. 2. If you need to run errands, make sure you bring a face mask. Many people gave me a second look or stared at me, and it was quite uncomfortable with all the attention! 3. You need lots of aftercare products— certain moisturiser and sunblock. Ensure that there are no whitening ingredients or Vitamin C in it. I'll share more on what I used for my treatment in a later post! My skin tone used to be darker around my nose and forehead areas. Now, I don't see any areas that are particular dark. From the pictures above, you can tell that I used to have enlarged pores around my forehead and nose area. I can't find any pores now. Because my acne scars are really deep (probably about 7 years old), it would take about 5-6 sessions to completely remove them. However, I can see significant results after the first session! 2. My face is still quite oily at the end of the day. However, it remains oil-free for a longer period of time. However, the above two things are quite manageable. 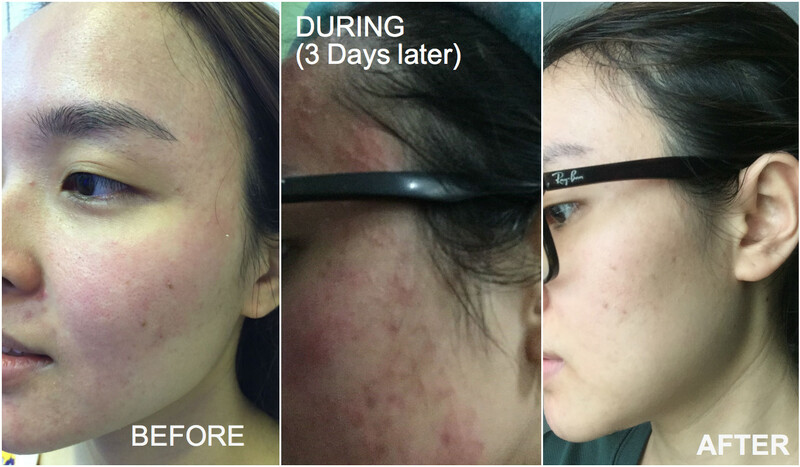 I think I'd still go for another round for Venus Viva Nano Fractional treatment in future... though I admit that I hope that I won't have another round of skin reaction! Try Venus Viva Nano Fractional Treatment at Chrysalis Medical Aesthetics now! You may read more about the treatment from a male's point of view here.